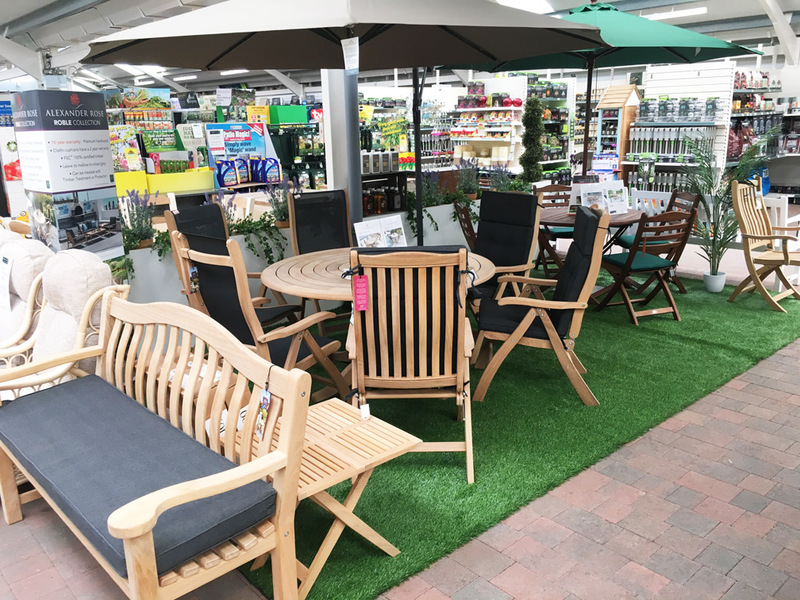 We have over 40 years experience in the Garden Centre industry, so you can be confident in buying from an experienced and well established centre. Chris Hawkins and his father Jack opened the Nurseries in 1978. Chris had been a self-employed landscape gardener for 10 years, and before that he had carried out a five year engineering apprenticeship. Jack was a Manager at the Rolls-Royce Works at Leavesdon, Watford, and took early retirement to help Chris with his new business venture. Three generations, Jack, Chris, and Stephen sitting on the glasshouse yet to be erected. Stephen has always shown an interest in the family business! Katy standing by the old entrance. The glasshouse in the late eighties. The entrance in the early nineties. 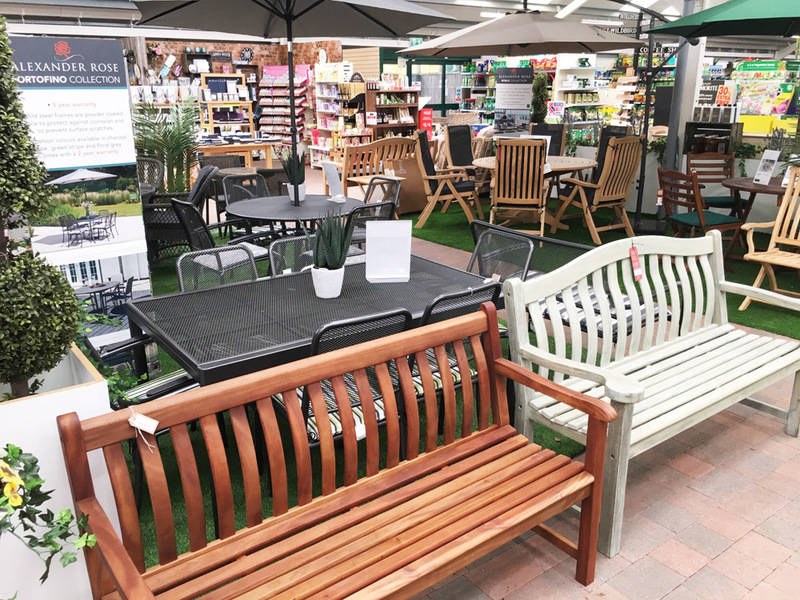 Come and visit our showroom at Haddenham Garden Centre. We are based near Thame, Aylesbury and Oxford. You can zoom in and out on our location using Google Maps below. 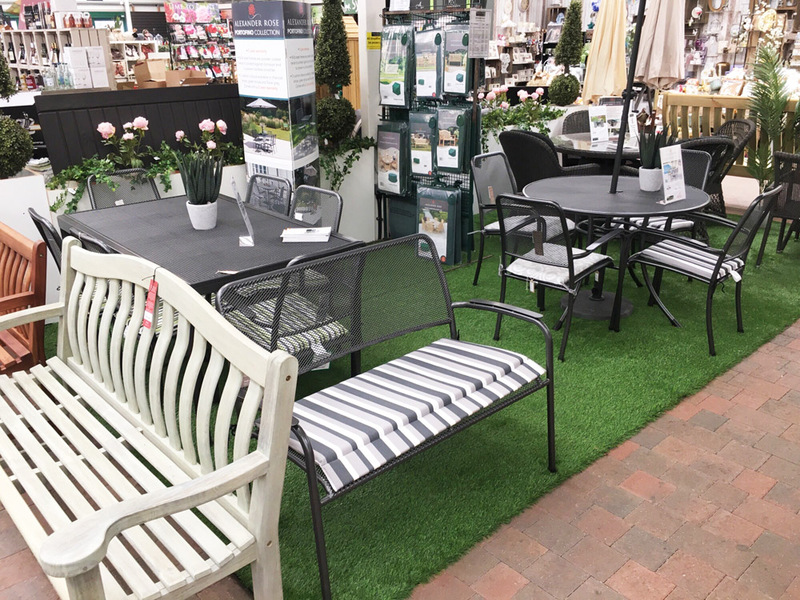 We have a huge range of Alexander Rose Garden Furniture, Kettler Garden Furniture, Desser Cane Furniture, Outback, Landmann and Napoleon BBQs & Accessories, Muck Boots and Le Chameau wellies on display. Plus everything else you would expect to find in a traditional garden centre.